Defending Bathurst winner Luke Youlden led the way in Practice 4 for the 2018 Great Race, as second-fastest Dean Canto crashed and ended proceedings. 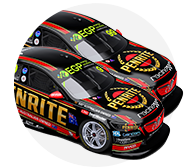 The Penrite Erebus Holden was quickest in a dedicated co-driver session run in drying conditions, with a 2:06.6471s. That put him 0.4286 seconds ahead of Canto, who found the wall at Forrest's Elbow with three minutes to go and brought out a red flag. The Walkinshaw Commodores of Jack Perkins and Warren Luff filled third and fourth, while Steven Richards finished at the foot of the times with steering trouble. Drivers were greeted by drier but still greasy conditions after all of Thursday's running was rain-hit. Still on wet tyres, Thursday's benchmark of 2:25.0243s was bettered within 10 minutes, by a 2:23.9427s from James Moffat. Dale Wood was the first driver to bank a time on slicks in the CoolDrive Commodore, a 2:21s, 17 minutes into the allotted 60. By the halfway mark, the benchmark had fallen to a 2:13.3079s, also from Wood following a flurry of improvements. Wood led by more than three seconds early in the second half after improving again to a 2:11.6696s. David Russell then took the times into the 2:10s, before Youlden turned a 2:08.6117s and 2:07.9063s entering the final 20 minutes. Triple Eight pair Paul Dumbrell and Earl Bamber sat out the first half of the session as the track dried. Bamber slotted into top spot briefly with 15 minutes remaining, before Wood and Youlden reclaimed it, the latter with the definitive 2:06.6471s. Times had already stabilised when Canto found the wall and ended the session, with Youlden - who won the race in 2017 with David Reynolds - finishing on top. “We’re glad it’s dry, that’s for sure,” Youlden said. “It’s fair to say we had our struggles yesterday but I think we probably got a handle on that this morning in the wet running. 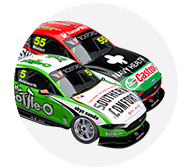 Canto was in second place when he became the weekend's first Supercars driver to come unstuck around Mount Panorama. 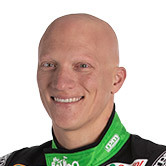 He lost the rear end of Mark Winterbottom's Bottle-O Falcon on the way into Forrest's Elbow, clouting the tyre barrier on the outside. “It was an interesting session. He was actually on a slowdown lap then, I’m not sure what went wrong and he ended up in the fence,” Winterbottom said. “The car looked like it had reasonable pace, now the guys have got to try and repair it and get us out for the next one. “It’s not ideal, but you can’t blame him. It’s tricky conditions, we thought they’d all got through and then just as we were about to take the headset off we went in. Perkins, despite a wild moment through The Chase, wound up third, shading Luff in the sister Mobil 1 Boost Mobile Commodore. “I hadn’t taken The Chase flat so I thought I better give myself a good run-up there and just mistimed it a bit," Perkins explained. 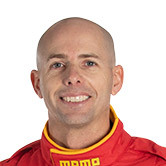 Alex Premat took fifth in Scott McLaughlin's Shell Falcon, ahead of Wood and the Nissans of Aaren Russell and Garry Jacobson. Macauley Jones had an off across the top of the Mountain on his way to ninth. 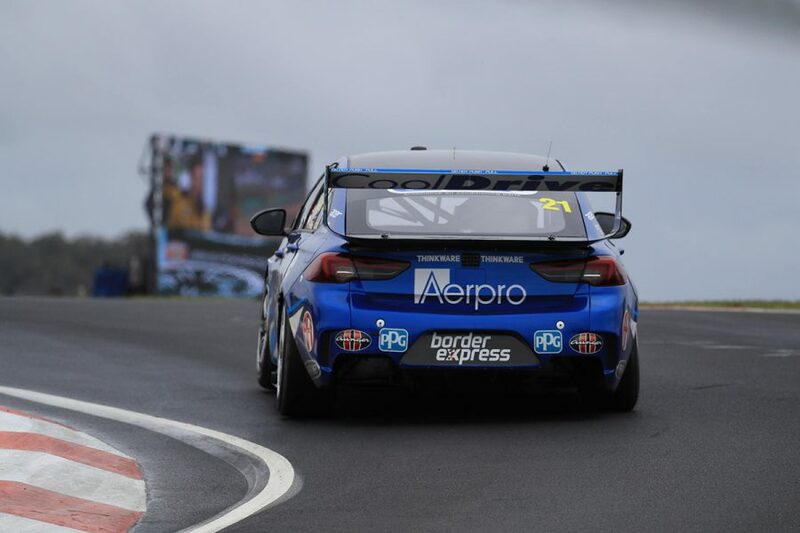 Dumbrell rounded out the top 10 ahead of Bamber, whose earlier time was ultimately 1.2094s off Youlden's effort. In the third Triple Eight Commodore, Richards had a brief stint in first as the track dried, but power-steering problems returned. That left the sidelined Autobarn entry he's sharing with Craig Lowndes at the foot of the order, 7.6203s adrift. “We’re in the elimination phase. The boys have just changed the pressure relief valve in the pump,” Lowndes said, with steering problems having also struck in Practice 1. "They’ve run it up and it looks like we’ve regained pressure. We know we’re lower pressure in the power steering system than next door, so we know there’s an issue. "We thought we had a line problem or something else, we’ve changed the rack and the pump, and we’ll see what happens in the next session now. Practice 5 starts at 11:15am on Friday, before ARMOR ALL Qualifying, setting positions 11-26 on the grid, at 3:50pm.